I started to write this a week ago, on Father’s Day, but got sidetracked … by riding then going out with my son for dinner at our favorite gourmet pizza restaurant (in Kirtland, of all places). So riding can get in the way of things? Fitting, because that’s what I was starting to write about. At various times I’ve been asked: how do you train and still make time for family? Don’t they resent the amount of time you spend training and racing? It’s kind of moot now that my kids are well beyond that transition to wanting to do their own things. Actually that is part of the point: they have developed their own things that they want to do. I’m mostly unapologetic about the time spent training and racing. Parents push their kids to do sports, push them to do music lessons, to do activities, excel in school. But do parents do those things themselves? It seems to largely end up with the parents living vicariously through the activities and successes of their kids. Why not show your kids a direct example of what it means to be engaged in something that is challenging, requires some discipline to be successful, and that you love to do? I think there is truth in the saying that kids learn more from what you do than what you say. I could also talk about the different ways that you can do “opportunistic training” as I used to call it: ride early, ride at lunch, ride to and from work or family events. Ride a lot when you have the opportunity, and rest when other life circumstances come up. That worked pretty well for me. More than anything though? I think they recognize that I’m just more agreeable when I am able to get out and ride. I’ve been racing long enough to remember when you had to MAIL in race entries. Not e-mail but real, paper mail with a stamp on the envelope. And you found races by looking through announcements in VeloNews or USCF newsletter. I can still picture the ad for the Killington Stage Race. It was a big race for the pros — last big race on the national calendar. It was big for amateurs too. A real stage race with big fields in all categories and big climbs in the Green Mountains of Vermont. I did the race a couple of times, in 1999 and 2000 (after which the race went on hiatus until 2010). That’s long enough ago that it feels like forever. (I did the Masters 30+ race in ’99!). In addition to picturing the old ad for the race, I also had a mental picture of the area. It was, as I remember it, beautiful. “Green Mountains” is an appropriate name. I also remember how refreshingly undeveloped the area was. Going back this year for the first time since 2000, I was surprised to find that the picture in my head largely matched what I saw. How often does that happen? Seems you go back to a place where you have fond memories and then find that it’s not the same. I figured we’d arrive to find lots of new, large condo complexes, chain restaurants, and Starbucks. But there was none of that. We stayed at a small inn on the access road. I got my espresso from a locally-owned bakery. We ate every meal at a local restaurant (including some amazing barbecue … in Vermont!). How often does that happen? This is not just a random coincidence. I recalled reading about Vermonters opposing the growth of large “dollar stores”. So it seems to be a conscious thing. Or maybe … it’s ingrained in how they see themselves in relation to their community and surroundings. Yeah. What if there was more of that elsewhere? In any case, it was refreshing. I’m already thinking about going back: there’s another race in September (Green Mtn Stage Race). Preface: A couple of people have asked me: how come you haven’t been writing? The simple answer: same reason I’ve been having a decent racing season so far: I’ve been training. Maybe I shouldn’t reveal that little secret. I don’t announce stuff like that ahead of time. Normally I would just try to ride as best I can and let the final result fall where it may. 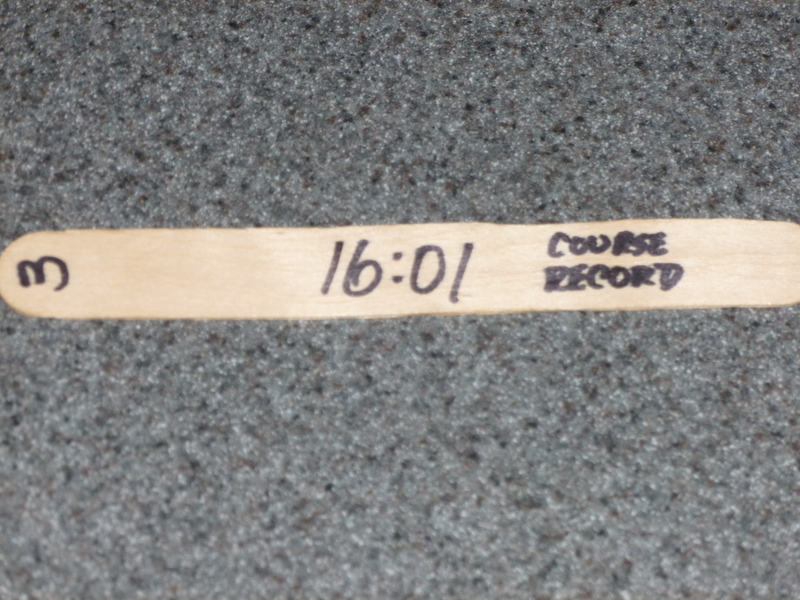 But I figured that posting a new record time would require some intention to do just that. If I didn’t go out hard enough, there would be no way to make up the time. If I went too hard and blew up, well, as Tris said in his reply, “no guts, no glory”. The interesting thing about this is that once I explicitly stated that I was out to set the course record, it changed my mental outlook towards the effort. I was going to go hard, then go harder. I’ve done the course enough times now that I know what is a fast time at different points. When I hit the turn at 8:30 I knew I had a chance. The last 2 miles were into a headwind though, which was going to make it difficult. But that intention provided just enough motivation to suffer those last 2 miles. Looking back at the original post I wrote about Leroy, I see that in 4 years I’ve managed to take 29 seconds off the record. I guess it is possible to get faster as you get older. At least for one particular event.